Tonight is the beginning of another blog hop with fellow Angels. The theme this time around is Valenetines! Hard to believe, but it is just around the corner! 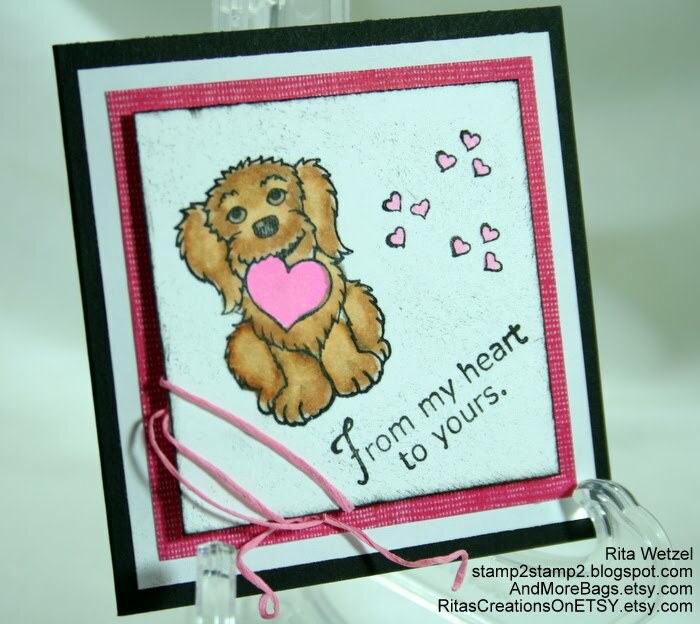 The three projects that I did all use our Uptown Girl coordinated papers, Date Disks, and two of our stamps from the Stamp Spree Promotion - Little Darlins and Furry Friends. Scrappers floss, of course, also embellishes the projects. Both of the candy boxes use acetate. 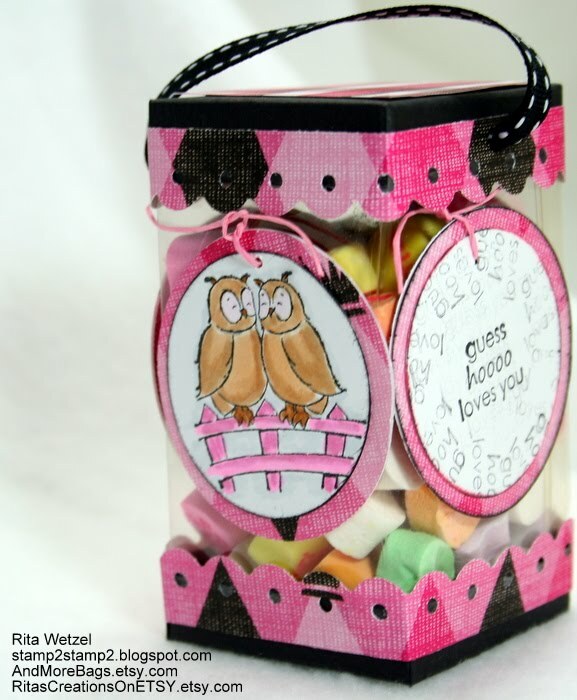 I used the Cricut to cut the candy box with the heart - love that die cut machine!! The clear acetate box was inspired by this tutorial! And the 3 x 3 notecard - well, it is a 3 x 3 notecard - no more, no less! Both the owls and the puppy dog were colored with Copics. I'm still learning how to use them but really do like them! -The dreary, rainy weather is at least melting the ice on the roof of the house.